There was a problem subscribing your email. You've been added successfully. Click here to open off screen navigation items. 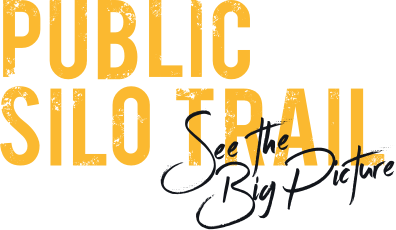 FORM’s PUBLIC Silo Trail is putting regional Western Australia up in lights, bringing world class murals to grain silos, transformer boxes and iconic infrastructure in unexpected towns right across the state. 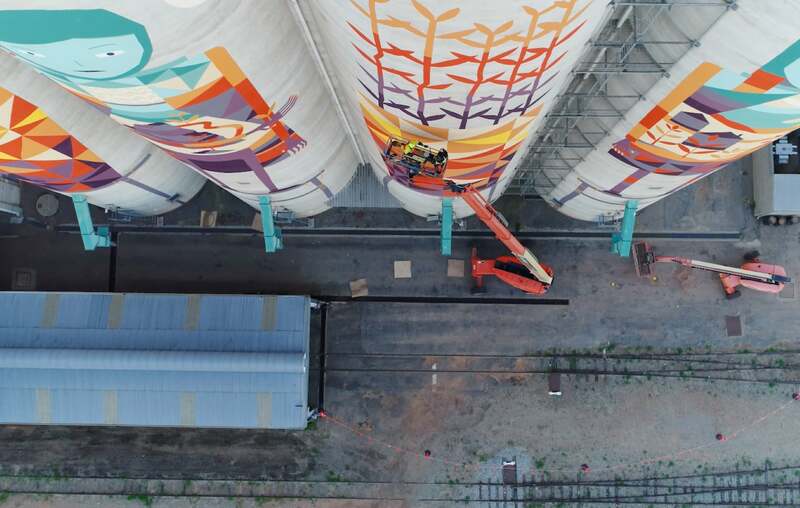 It took 31 days, 338 litres of paint and countless trips up and down the silos in a knuckle boom for Fremantle-based, Dutch-born artist Amok Island to execute Six Stages of Banksia baxteri across three stout CBH Group silos, visible for miles around. 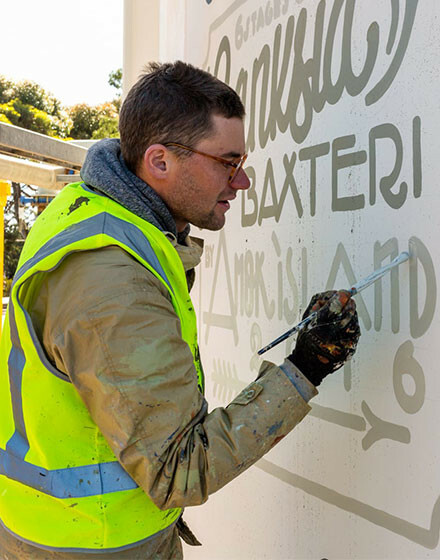 The landscape around Ravensthorpe comes alive every spring with thousands of species of wildflower bursting into colour, so Amok Island decided to focus on native Western Australian flora and fauna for his largest mural to date. ‘Each silo side shows a different stage of the flowering cycle of this species of Banksia: from flower buds, to full bloom, to seedpods developing, drying out and opening’, explains the artist. The artwork encircles the three silos infinitely; the final silo marks the beginning once again of the first, making a connection with the cycle of the seasons and grain farming processes this area is known for. This species of banksia is only found between Esperance and Albany. Northam Internationally renowned artists Hense (USA) and Phlegm (UK) transformed eight CBH Group grain silos into iconic works of art, dramatically responding to the unique landscape of the Wheatbelt town of Northam. Pingrup Dog on a tractor, jockey on a horse, lamb in a man’s arms. This captures Pingrup’s spirit in a nutshell – or rather, in murals on three 25m high silos Pingrup spirit in a nutshell – or rather, in street artist EVOCA1’s 25m high murals. 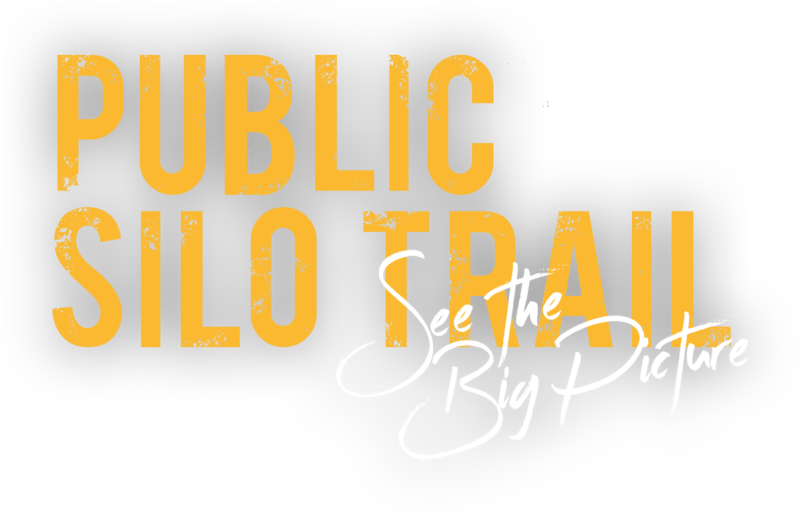 Newdegate Native Western Australian wildlife took centre stage in sky-high silo art with Newdegate becoming the fifth stop along the PUBLIC Silo Trail. Ravensthorpe Fremantle-based artist Amok Island created PUBLIC Art in Ravensthorpe’s Six Stages of Banksia baxteri, a 25 metre high wildflower inspired mural painted across three CBH Group silos in Ravensthorpe, Western Australia. Albany The Ruby Seadragon and its Leafy Seadragon cousin, the 35 metre high and 50 metre wide mural now sits proudly across the giant silos at CBH Group’s Albany Grain Terminal.